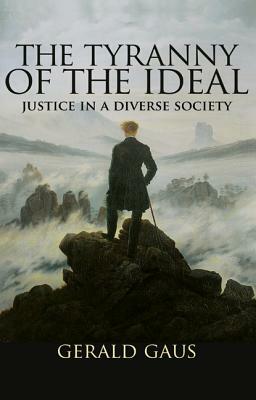 In his provocative new book, The Tyranny of the Ideal, Gerald Gaus lays out a vision for how we should theorize about justice in a diverse society. Gaus shows how free and equal people, faced with intractable struggles and irreconcilable conflicts, might share a common moral life shaped by a just framework. He argues that if we are to take diversity seriously and if moral inquiry is sincere about shaping the world, then the pursuit of idealized and perfect theories of justice--essentially, the entire production of theories of justice that has dominated political philosophy for the past forty years--needs to change. Drawing on recent work in social science and philosophy, Gaus points to an important paradox: only those in a heterogeneous society--with its various religious, moral, and political perspectives--have a reasonable hope of understanding what an ideally just society would be like. However, due to its very nature, this world could never be collectively devoted to any single ideal. Gaus defends the moral constitution of this pluralistic, open society, where the very clash and disagreement of ideals spurs all to better understand what their personal ideals of justice happen to be. Gerald Gaus is the James E. Rogers Professor of Philosophy at the University of Arizona. His books include "The Order of Public Reason" and "Justificatory Liberalism."